Oriolus oriolus Linnaeus, 1758, "in Europe, Asia" = Sweden. Two subspecies, one in Europe to west Asia and the other in Central Asia, differing in size, proportions, and black stripe through eye. English: Golden oriole, oriole; French: Loriot d'Europe; German: Pirol; Spanish: Oropéndola Europea. 8.3-9.5 in (21-24 cm); 2-2.8 oz (55-80 gm) both sexes. An allgolden oriole with black wings, tail, and stripe through eye; female duller and greenish-backed. Europe and far northwest Africa east to Asia Minor, the Caspian Sea, western Siberia, and, in winter, sub-Saharan Africa; Central Asia, from western Siberia south in winter to Afghanistan and Himalayas, peninsular India, and north Sri Lanka. Woodlands and open forests of primarily broadleaf and deciduous mature trees, including parkland. Solitary and retiring, keeping within the upper stages of large trees. Song, given year-round by both sexes but more by males during breeding, is a loud, liquid, warbled whistle of three or four syllables, repeated; a grating, drawn-out squalling given in agitation, as well as a range of warbled sub-songs. Forages by picking mainly in foliage of tree crowns, but also occasionally by hovering and perch-pouncing near to ground. Diet includes both a range of insects, including hairy caterpillars, and a range of small fruits, as well as some seeds, buds, small reptiles, nestling birds, and eggs. Monogamous, single-brooded, and territorial, males holding dispersed territories. 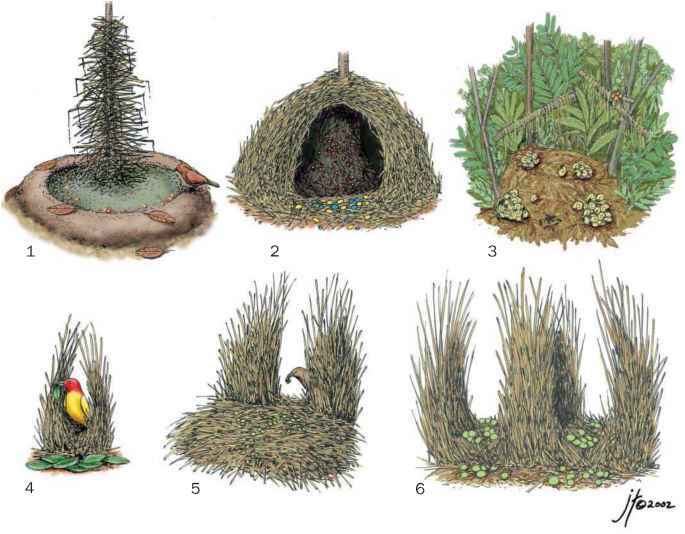 Nest, a shallow cup of plant fiber and stems slung from a thin horizontal fork in high foliage, is built in 6-12 days by female, with initial assistance from male. Eggs, three to four per clutch, are creamy or pink-white with scattered dark brown and blackish spots. Incubated by female with assistance from male, they hatch in 15-18 days. Young, fed by both parents and infrequent trios, fledge in 16-20 days. 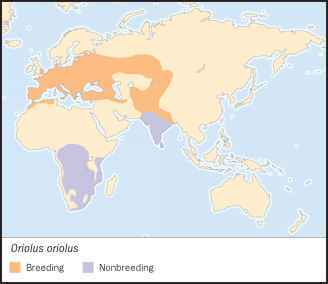 Neither subspecies appears to be under threat at present, though status of central Asian race unclear. For western subspecies, declines in central and eastern Europe over past 50 years partly offset by increases in western Europe.